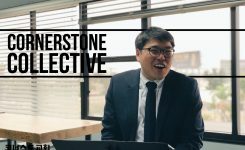 Cornerstone Collective: Can you introduce yourself and give us a brief story about how you came to Cornerstone Church? 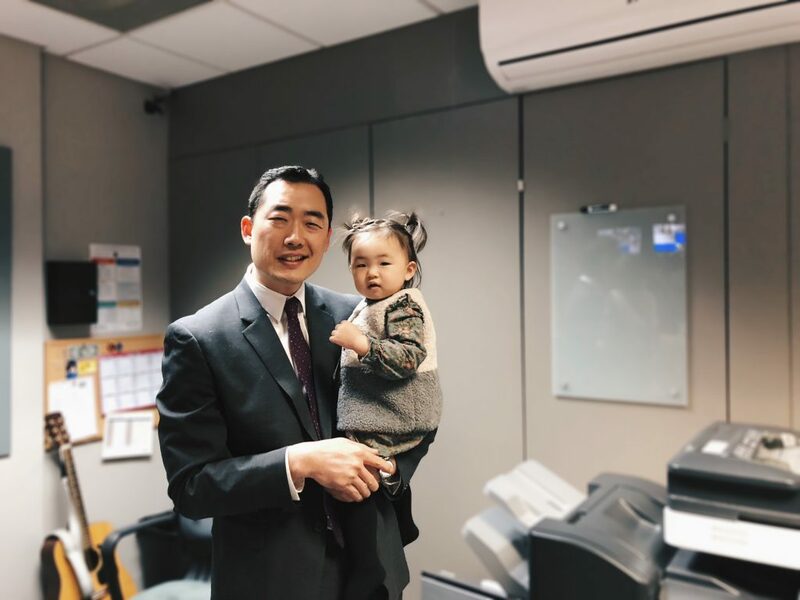 Pastor Sung: My name is Sung Pyo Hong. 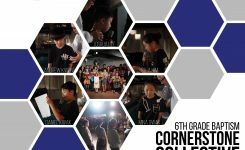 I have been serving in Cornerstone Youth Group since 2008 and before that junior high. I came to Cornerstone in October 1999, which I remember because it was during the anniversary worship with my mom. After I attended adult service with my mom for about a year then, one of the college young adult staff said “Oh, you know you should come and join college group and come check it out.” That’s when Teacher Sam was teaching and leading praise; I was 17. That’s how it began. I got to know many of the brothers and sister and did survival kit. I would say in my college years, I was here on Sundays and Fridays. I made it as often as I could. I enjoyed the group and the fellowship, but that was it. Definitely the main reason I came was for the fellowship and because Teacher Sam bought me a lot of food. So I thought, “at least I should come to church because he’s treating me well” and that was my mentality. That went on and then at one of the retreats, we had a time of sharing. The pastor back then asked me what some of my determinations were after this retreat and I told him, “I’ll be here for Friday bible study and Sunday worship for a year and I’ll not miss a single time.” I said that not really thinking or expecting anything to change. I just said that because it was a good determination. I shared that because initially, my approach was that I want to have an image or want to be someone that is trustworthy. I wanted to keep my word, so I did that. So for a year, I came for every Friday bible study and every Sunday, but that didn’t mean I was really faithful. I would come to bible study and I would still go out and go to bars and clubs. I did everything in my schedule that I had done before, but I still came out Friday and Sunday. Some Sunday’s, I would drink until 3-4 am and sleep a couple of hours, but I wanted to keep my word, so I got up and came. And one time I came to church and I actually threw up in the church bathroom; I believe that was the time where God was working in a way that I didn’t know. Making that commitment and to come out to Friday bible study and Sunday worship gave me the opportunity to hear the Word. I’ve been going to church all my life but that was when the word really opened up to my heart and that’s when I really started to have some questions about scripture. That’s when God really planted the seed in my heart and I realized that my life is not right; my relationship with God is not right. I think that was about 2006-7, when I was about to graduate from college. 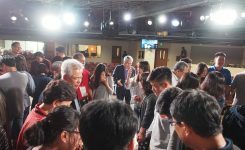 I started to be more faithful and my worship became actual worship and it became more than just fellowship and hanging out. A big turning point. 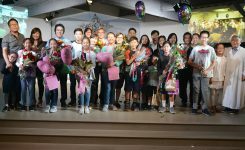 Cornerstone Collective: Why did you decide to dedicate your life to serving the Lord? Pastor Sung: I started serving in 2007. Pastor Lee, Teacher Pat and Teacher Sam. They said it would be good to get involved in serving. So I served at high school for a little bit, and as I look back, some of the students from back then were there. They knew that I wasn’t a teacher; I was just there. I would sit at the back of the room and doze off as the pastor was giving message, but the opportunity was given and I took it. But I think it was more of God training me. I then got moved to junior high to serve with one of the pastors and received a chance to speak. So God opened a lot of opportunities- not because I was good at anything, but I think they saw that I was pretty consistent and disciplined in being there and being on time. As I became more engaged and given more opportunities to speak and study the word, that really made me grow. The big turning point that pushed me over the hill was in January 2008, when I was serving junior high. After a retreat on Sunday, I was eating downstairs, and I felt a bit weird. The flavor of the food tasted weird, and at night, I realized half of my face nerves were paralyzed. I had Bell’s Palsy. As I went to the doctor, they told me “you just have to wait it out and it (feeling/sensation in the face) will come back.” So that’s the thing that made me constantly think hard and reflect back on my life. I was able to see that God has prepared a lot for me already. In my surroundings, God called me, and it was in a circumstance that I would be able to fully serve. 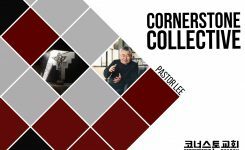 I don’t think I was able to see it fully before, but when I took some time to think about it, I realized God brought me to Cornerstone Church, allowed certain teachers and Pastor Lee upon my life and allowed me to realized that except me, everything else is ready. I had so many people supporting me and now it was up to me to make a change. So I spoke with Pastor Lee with teachers, my parents and family, and they gave me their grace and blessing. That is when I realized that this is the call that definitely God has given me that I was holding back. So I decided to dedicate my life to God and be a pastor in 2008, and now it has been 10 years. Cornerstone Collective: What does Cornerstone mean to you? 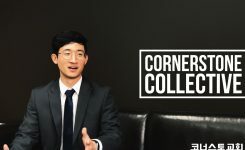 Pastor Sung: Cornerstone… difficult to answer in short words, but I got to say that the word, Cornerstone itself, holds a pretty big meaning. Now, it is the foundation of my life. Jesus is the foundation of my life. Through Cornerstone Church, I found my true cornerstone Jesus Christ. This is where I really was able to listen to the word of God. This is where I realized where Christian life is not just knowing God, but living for God. This is where God showed his hand as I was struggling, I was able to realize what’s really worth living for, so I would definitely say Cornerstone is the foundation of my life with Jesus definitely being the center. This is where I met my wife, Linda. This is where I had my first kid, Lois. Cornerstone is so many things and as a result my life was built in the healthiest of conditions. So definitely Cornerstone is the foundation of where I am now. 홍성표 전도사: 제 이름은 홍성표 입니다. 2008년 부터 지금까지 코너스톤 고등부를 섬기고 있고,그 전에는 중학부를 섬겼습니다. 코너스톤 교회는 1999년 10월에 처음 왔습니다. 교회 창립기념예배라서 기억이 나네요. 그 이후로 한 1년동안 어른 예배를 어머니와 드렸는데, 대학부를 섬기시는 한 분이 와서 “대학 예배 있는데 한번 와서 봐” 라고 말했습니다. 그 당시 우진 선생님이 찬양 인도하시고 가르치셨고, 저는 17살이었습니다. 그렇게 시작했죠. 많은 형제 자매님들을 알게됬고, 영적성장기본진리를 했습니다. 대학 시절에는 시간 나는 만큼 금요일과 주일에 교회에 왔었습니다. 모임과 친교를 좋아했지만, 그 것 뿐이었습니다. 교회 나왔던 가장 큰 이유는 친교, 그리고 우진 선생님이 저에게 많은 음식을 사주셔서, “잘해 주시니까 최소한 교회 참석이라도 해야지” 라고 생각했습니다. 그렇게 시간이 흐르다가 어느 한 수련회 후, 결단 을 나누는 시간이 있었습니다. 목사님이 그때에 저에게 수련회에서 한 결단이 무엇인지 물어 보셨고, 저는 “1년동안 금요예배와 주일예배를 한번도 놓치지 않고 참석하겠습니다” 라고 대답했습니다. 특별한 생각 없이, 큰 변화를 기대하지 않고 한 말이었습니다. 그저 좋은 결심이었기 때문에 말했던겁니다. 그렇게 말한 후, 저는 내가 한말에 책임을 지는 사람이기고 싶어서, 그대로 했습니다. 일년동안, 한번도 빠지지 않고 금요성경공부와 주일에 교회에 왔지만, 제가 진실로 신실했던건 아니었습니다. 성경공부에 참석한 후, 술집이나 클럽에 갔습니다. 전에 하고있던 스케줄을 지키면서, 그래도 금요일과 주일에는 교회에 왔습니다. 어떤 주일에는 새벽 3-4시 까지 술을 마신 후에도 제가 했던 말을 지키고 싶던 고집에 한두시간 잠을 잔 후 억지로 교회에 왔습니다. 한번은 교회 화장실에서 토를 한적도 있었는데, 돌이켜 보니 이렇게 무지한 저에게 하나님께서는 계속 말씀 하고 게셨음을 보게됩니다. 그 결단이 시작으로 금요일과 주일마다 하나님에 말씀을 들을 수 있었습니다. 평생을 교회에 다녔지만 그때서야 조금씩 정말로 주님의 말씀이 제 마음을 열었고, 점점 성경에 대한 질문이 생기기 시작했습니다. 그때 하나님이 제 안에 씨앗을 심으셨고, 나의 삶이 옳지 않다는 것과, 나와 하나님과의 관계가 옳지 않다는것을 깨달았습니다. 그때가 한 2006~7년도 였고, 막 대학을 졸업하던 시기였습니다. 그때 점점더 신실하게 예배를 드리기 시작하였습니다. 큰 전환점이었죠. CC:왜 삶을 받쳐 주님을 섬기겠다고 결단했습니까? 홍성표 전도사: 2007 년 부터 섬기기 시작했습니다. 목사님, Patrick 선생님 그리고 우진선생님 모두의 격려에 고등부를 잠시 섬기기 시작했습니다. 돌이켜 보니 고등부 학생들도 제가 선생이 아니란걸 알았을 것입니다. 저는 그저 몸만 그곳에 있었던 겁니다. 그 당시 뒤에 앉아서 목사님 설교시간에 졸때가 많았지만, 섬길 수 있는 기회가 주어졌기에 순종했을 뿐인데, 생각해보니 하나님께서 저를 단련하시던 시기였던 것 같습니다. 그 후 중등부에서 다른 목사님 한분과 같이 섬기기 시작했고, 말씀을 전할 수 있는 기회도 주어지고 하나님께서는 저에게 많은 기회를 주셨습니다. 딱히 제가 무언가를 잘해서가 아니라, 리더분들께서 제가 열심히 예배에 참석하고 순종하는 마음을 보신것이 아닌가 생각해봅니다. 제가 말씀을 전하고 말씀을 공부하는 기회와 더욱 더 많아지면서 저는 정말 많이 성장했습니다. 가장 큰 전환점은 2008년 1월 중등부를 섬기던 때였습니다. 수련회가 끝난 후, 아래층에서 점심을 먹고있었는데, 무언가 좀 이상했습니다. 먹고있던 음식의 맛이 이상했고, 얼굴의 느낌이 이상했습니다. 그날 밤, 제 얼굴의 반이 마비되는 것을 느꼈습니다. 안면 신경마비였습니다. 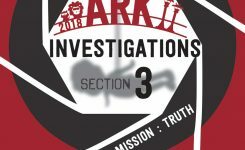 의사들은 저에게 그저 “기다리면 신경이 돌아올꺼야” 라는 말을 했고, 그 말이 저에겐 제 인생을 돌이켜보는 계기가 되었습니다. 하나님이 저에게 이미 너무나도 많은걸 준비해 주셨다는 걸 볼 수 있었고, 주변 모든 것을 통해 하나님이 저를 부르셨고, 모든 것을 바쳐 섬길 수 있는 상황이였습니다. 전에는 보지 못했지만, 시간을 두고 생각을 해보니, 하나님께서 저를 코너스톤교회로 인도하셨고, 특별한 선생님들과 이종용 목사님을 제 삶에 허락하셨고, 저를 제외한 모든 것들은 준비가 되었다는걸 깨달았습니다. 그래서 목사님과, 선생님들과, 부모님과, 가족들과 대화를 나누었고, 그들의 축복안에서 목사가 되기로 헌신 하였습니다. 2008년에 삶을 하나님께 드리고 목사가 되자고 결단했고, 벌써 10년이 지났습니다. CC: 코너스톤은 당신에게 무슨 의미를 가지고 있습니까? 홍성표 전도사: 어려운 질문이지만 짧게 대답해본다면, 코너스톤, 이 단어 자체에도 너무나도 큰 뜻이 있습니다. 이제는 제 삶의 토대입니다. 나의 모퉁이돌 되시는 주님이 제 삶의 토대입니다. 코너스톤 교회를 통해 주님의 말씀을 진정히 들을 수 있었고, 기독교인의 삶은 하나님을 아는것 뿐만이 아니라 하나님을 위해 사는것임을 깨달았고, 하나님께서 힘든 시절 저에게 삶의 가치를 보여주셨습니다. 그렇기에 저는 코너스톤되시는 주님이 제 삶의 기초고, 예수님이 중심임을 고백합니다. 코너스톤 교회에서 제 아내, Linda를 만났고, 코너스톤에서 첫 아이 Lois를 가졌습니다. 코너스톤은 너무나도 많은 것을 함축하고 있고, 제 삶은 이곳에서 건강하게 지어져 나가고 있습니다. 확실히 코너스톤은 저의 삶의 기초이고 토대입니다.